It is perhaps the simplest yet most provocative of business leadership questions. Twenty-five years ago when I was just getting started in the world of destination marketing an industry titan of the day told me that at its very core, destination marketing was essentially a “make and sell” business…and you were either a maker or a seller. Clearly the business of the destination marketer in those days was exclusively as a seller. We were there as an intermediary to sell whatever the “makers” in our destination made for visitors to buy…no questions asked. The makers were the hoteliers, attractions, bus companies, restaurateurs etc who “made” the stuff that we were directed and expected to sell.. Our domain was the sales channel, the client relationships and the sales scoreboard that we controlled…or at least thought we did. This was all very simple and clear to everyone in the industrial tourism economy of the day. At the same time, those very same forces of disruption to the sales channel are also blurring the lines between “sellers” and “makers” everywhere. Here’s why: In an industrial economy it was the “makers” who dictated what got sold to the customers…because they could. This is no longer the case. It’s now co-creation and collaboration between “makers” and their customers/stakeholders in successful businesses that now drives how and what gets sold in today’s disrupted sales channel. And it is increasingly the role of the destination marketer to bring the customer into the collaboration conversation about what gets “made” as part of the destination experience. SOLUTION: Why not be masters of your own domain and change the rules of the game: The “sellers” can now also become the “makers”. Destination Marketing 3.0: Less transactional selling. More experience development. This is not to say that destination marketers are going to extract themselves from the sales channel in the process. But as the DMO’s role in transactional sales becomes less relevant, leading the collaborative development of a destination’s experience is a significant business opportunity for high-value relevance. Ensuring the fingerprints of current and future customers are all over any kind of destination development plan or experience will unquestionably drive sales at the strategic level. And by getting industry (the makers) and community stakeholders also engaged in the process, the end-to-end alignment will drive long-term demand for the destination. Ding. Ding. Ding. The good news is that some destinations are already recognizing the value of taking an elevated role in destination development. Tourism Vancouver earlier this year completed Vancouver’s first-ever Tourism Master Plan. Destinations as diverse as Winnipeg, Curacao, Nairobi and several states in Mexico have done the same. Some DMO’s like the Las Vegas Convention and Visitors Association have taken a leadership role in shaping a transportation master plan for the future of their state…a critical element for any successful destination. Other destination marketers are going even further into experience development (something I call “Destination Animation”) by being founding partners and/or equity investors in actual destination experiences. 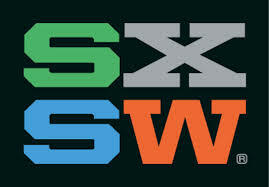 We all know what SXSW has done for Austin, Texas as a destination and a brand. In Grapevine, Texas (pop. 48K) the DMO not only are founding partners in several community events (attracting 1.5 million visitors each year in the process) they also own and operate a train experience. In same vein, the Greater Palm Springs Convention and Visitors bureau is exploring the development of a large, multi-day event in the community to target out-of-town visitors. Today’s cluttered destination sales channel coupled with the urgency to introduce co-creation and collaboration into the destination development process, creates an opportunity for destination marketers to shift from “sellers” to “makers” and create significant value for their communities. But it all starts with having the courage to ask the simplest of questions: “what business are we in?” and then having even more courage to pursue the answer. Your thesis here is well argued and I see where you’re coming from. I’m not sure I agree, however! Maybe if I saw a flow chart which shows visually how clients connect with destination product / services / experiences it might be clearer to me what role tomorrow’s savvy DMO is playing, according to your vision. As someone who has lived both on the buyer (via MCI) and supplier (via Ovation) side I’ve had dealing with DMOs, most of which were not particularly edifying – but that might be the randomness of where I happened to be doing business. At ICCA I’ve been exposed to some amazing DMOs and have seen the incredible value they bring to the destination not only in terms of tourist numbers but also FDI. One un-addressed issue in your thesis is that of funding and attendant anti-trust scenarios. Many DMOs are funded from public coffers. If they were “making” destination product then they’d be competing with private sector enterprises whose very taxes are keeping them in business … not good! What would be the work around for that? Equally, because of public funding you also have political interference and the DMO often becomes a puppet for the policies of whatever party is in power rather than a commercially driven powerhouse of innovation that creates demand for the destination. It’s an intriguing conundrum but I’m inclined to answer the question in the title of your blog as follows: DMOs are in the business of creating demand for destinations. They act much like conductors of orchestras, convening all musicians or destination “makers” together and ensuring that each and every one knows his part so that the sum of all these parts is a wonderful symphony that draws listeners from far and wide. But do they also compose the music, write the score, own the auditorium in which the orchestra performs, play lead violin? That’s the rub! The genesis for this blog post was inspired by those very same inconsistent DMO experiences that you alluded to. The world has disrupted sales channels everywhere and destination marketers are struggling as much, in some cases even more, as anyone to find their value niche since it’s a bloody red ocean in that particular channel. While I had not considered the anti-trust implications, I believe there is an opportunity for DMO’s to look beyond their traditional role as sellers in today’s cluttered sales channel in their pursuit of fulfilling their demand-generation mission (something we agree on). With increasingly empowered customers in the ecosystem, co-creation and collaboration are industry and product development strategies that are proving successful even where disruption has reigned supreme. I believe destination marketers are the best-equipped, best-positioned group to make a co-creation/collaboration initiative happen around a destination development plan and/or experience. But that means they have to think about themselves differently. As some DMO’s are already doing. It’s not easy. And it’s not for everyone. But I have to believe that those taking such steps are doing it with the blessing of their destination community — perhaps even as an outcome of a co-created destination plan – as a way to generate demand. I love your music analogy. Its spot-on. And DMO’s are indeed often seen as the “conductors”. My observation would be that stakeholders and clients typically put them in the role of “concert promoter” — which was essential in an industrial economy but somewhat limiting in a networked one. I see them increasingly as a “producer”. They bring together the orchestra – sellers, makers, buyers and the local community – and arrange them in the best manner so as to enhance the destination’s potential (and performance) in a very complex and competitive space. Great response, Bruce – thanks for taking the time! Maybe in 2014 we’ll find face to face time to knock these issues around. By then Patrick and me will be in post-MCI, re-invention mode and will launch http://www.soolellagroup.com our boutique consultancy firm offering services in the areas of marketing, training and operating customer advisory boards. Maybe we cna find ways to help each other and collaborate? We’re on padraic@soolellagroup.com and patrick@soolellagroup.com – keep in touch!